Easyworkorder’s shared inbox enables your team to collaborate and resolve issues without getting in each other’s way. 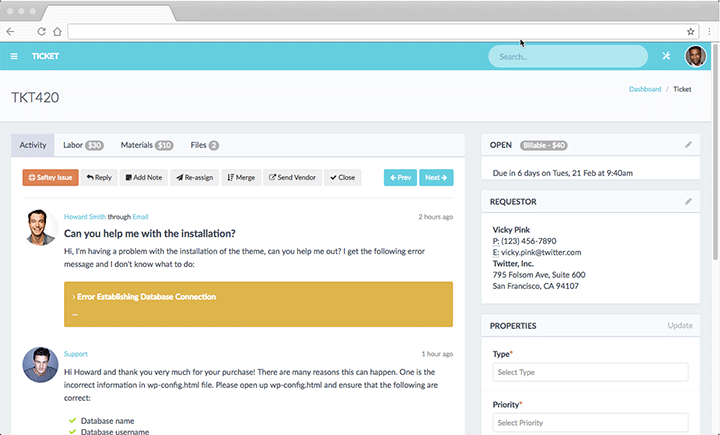 Every request sent to your support email becomes a ticket in your helpdesk. 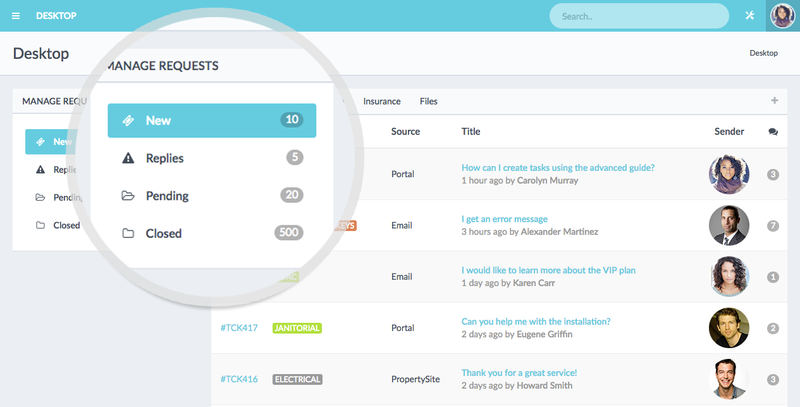 You can easily categorize and prioritize tickets and assign them to the right people in your team. And you don’t have to worry about multiple agents responding to the same ticket anymore because everyone on your team can see who is working on what ticket and its status. 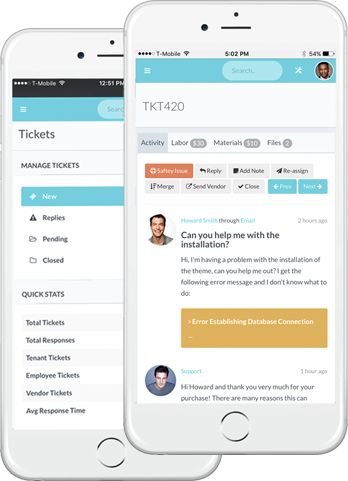 It is so easy to set up and use that you’ll be able to start resolving tickets in minutes. Set, manage, and meet customer expectations by setting up service level agreements (SLAs) for support. 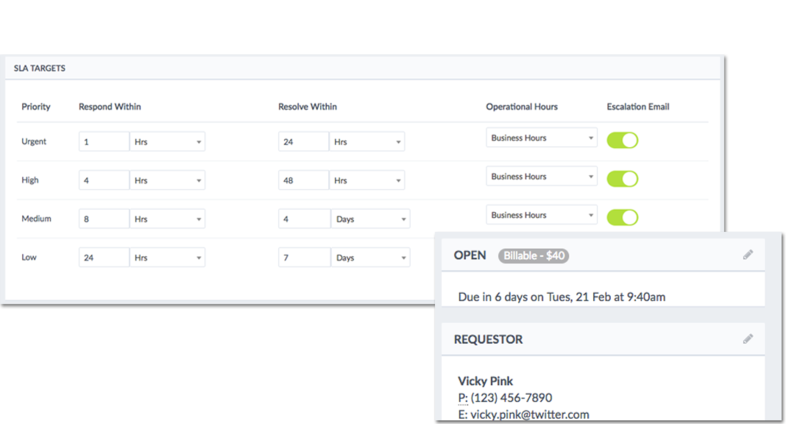 With Easyworkorder, you can define ticket priorities and requirements for resolution times so your people know exactly which issues to address first and how quickly they should respond. When a ticket becomes overdue, the appropriate staff are notified. Easyworkorder’s mobile-ready web-based version allows you to carry your support desk with you wherever you go. Reply to tickets, add notes and perform bulk actions on tickets even as you’re taking a walk down the street or waiting for your order to arrive at a restaurant.